Now that the wines have nearly all finished their primary fermentations, it is time to start racking them off and pressing the skins. We did our first press on Sunday and another two pressings yesterday. These are long days with early starts under the floodlights. Yesterday went pretty smoothly and we managed to press three 5000 litre tanks. First off all you draw off the free run wine into a separate tank. That then leaves a 50cm or so cake of skins and pips (called marc) in the bottom of the tank. This is then raked and shovelled out and (via the marc pump) into the press. 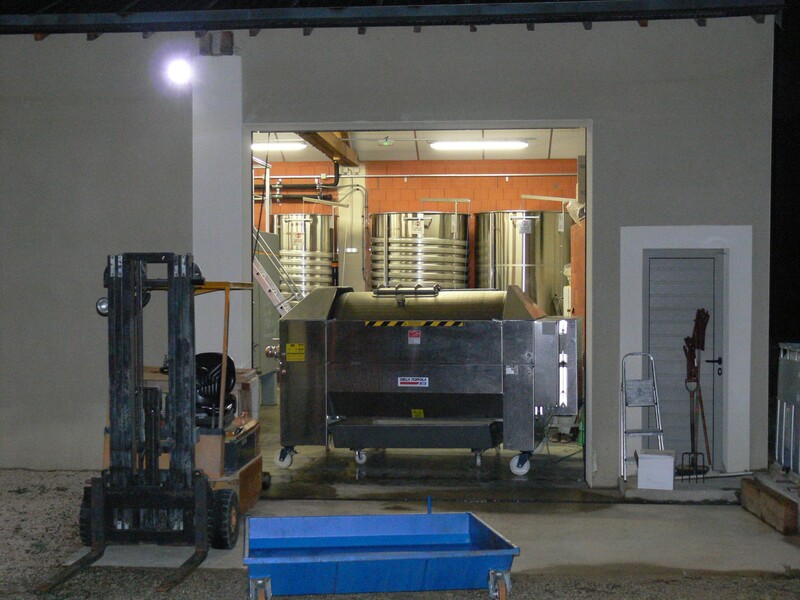 The pneumatic press then turns and presses for an hour or so and produces the press wine, which we keep separately from the free run wine, and the now dry marc which we have to take to the distillery. 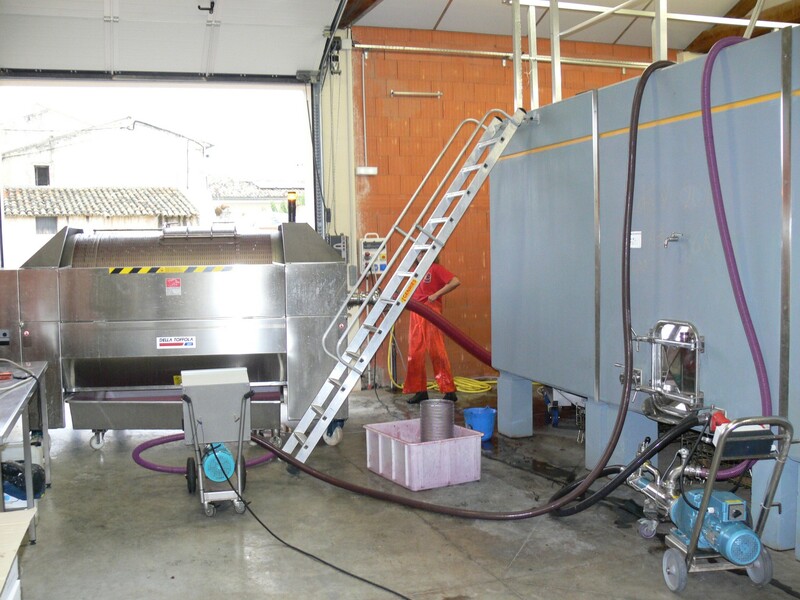 As you can see there is lots of equipment involved and at the end of the day it is time to clean everything – the press being particularly challenging in this regard – ready for Saturday when we will press again.